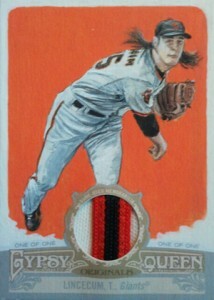 Considering its mid-range price point, 2012 Topps Gypsy Queen Baseball is seeing some strong single-card eBay sales. 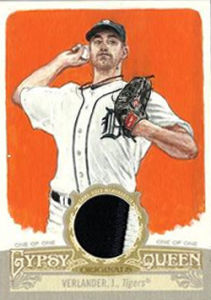 While the top of the list is dominate by simple autographs, other top sales include multi-player autographed relics and original art patch cards. The 2012 Topps Gypsy Queen Yu Darvish autograph, which is his first live pack-inserted signature, accounts for the top three eBay sales ($800, $730 and $525). While many cards plateau early and go down from there, each sale of the Darvish autograph, which is limited to 25 copies, has outsold the previous one. 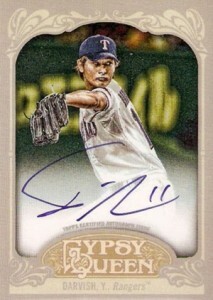 Compared to Darvish's previous two autographs, both of which were redemptions, this one was played up as much. Some buyers may have been bid based on the low first sale, which was made by via a fast "Best Offer." Other possible factors include sellers restricting where they'd ship to, cutting off many overseas collectors who'd be interested in the card. 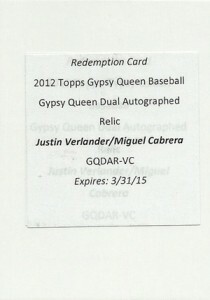 But with a couple of strong starts now behind him and the buzz surrounding Darvish starting to build again, more collectors are catching on to the his 2012 Topps Gypsy Queen autograph and its scarcity. 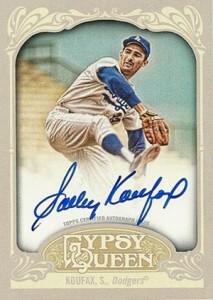 After Darvish, the next highest early eBay sales were a pair of Sandy Koufax autographs. Both closed within a couple of dollars of each other, selling for $416.50 and $415. 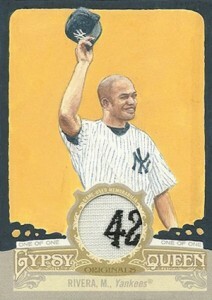 Outside of the top five, multi-player autographed relics and original art patch cards accounted for the next ten top eBay sales. Some of the interesting player combinations included Reggie Jackson, Ken Griffey Jr. and Matt Kemp, and Darryl Strawberry, Dwight Gooden and Gary Carter. 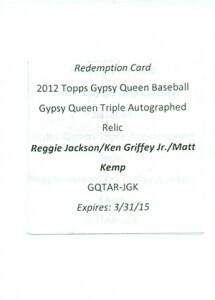 It is worth noting that many of the autographed relics packed out as redemptions. I pulled the Yu Darvish SSP base card for Topps Gypsy Queen and I was wondering how many of the base cards have been made? Haynes (ID 41430) � Congrats! While an exact number hasn’t been given, estimates suggest they fall about 1:15 to 1:20 hobby cases. 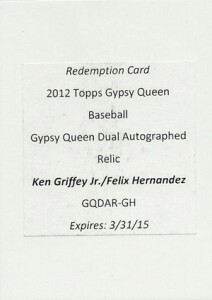 2012 Topps Gypsy Queen HOBBY Box 2 Autos (Sandy Koufax Hank Aaron Griffey)? 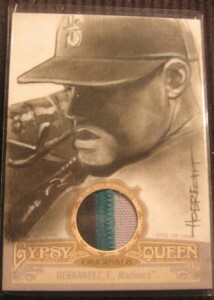 2012 Topps Gypsy Queen Baseball Hobby Box - Factory Sealed!